Tracey Baptiste loves fairy tales, science fiction, and eating her mom’s saltfish fritters—accra. She also loves writing and has written both nonfiction and fiction. Her nonfiction includes biographies about authors: Stephanie Meyers, Jerry Spinelli, Sharon Creech, and Madeleine L’Engle and conservationist Al Gore. She also wrote two books about character education: Being a Leader and Making Decisions and Overcoming Prejudice. Tracey is a hard working author and it’s hard to believe she had time to write her novel Angel’s Grace. Although born in Trinidad, Tracey now lives in New York. Her love of the island comes through in her novel. 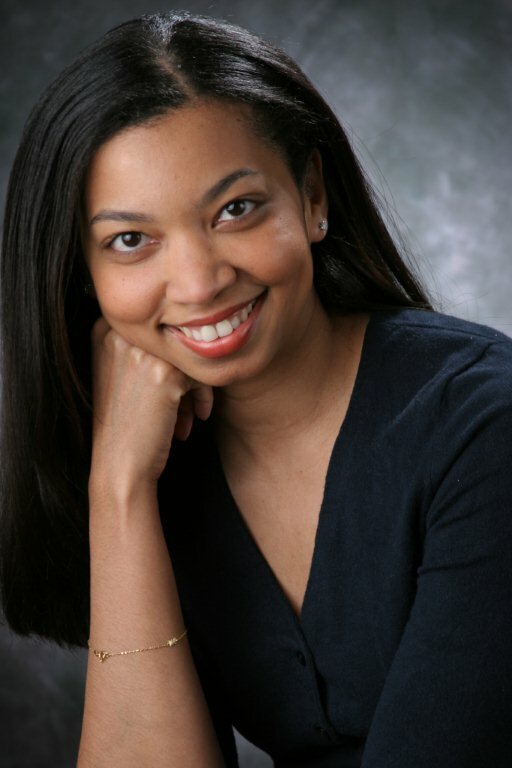 Today, the 8th day of our fifth annual 28 Days Later campaign, we’re honoring Tracey Baptiste for her writing successes and her contributions to the world of children’s publishing. I grew up in Trinidad, the last island of the Caribbean, where folktale creatures were as alive as the fish in the sea, and just as likely to jump out and bite you. My house was filled with books and paper, and pens and pencils. By the time I was three years old, I was reading. By the time I was five, I was sure I could write books. At age thirteen, I confessed my intention to be a writer to my best friend. She laughed and said, “But you’re failing English.” True. I was not a good student. But I would sit in the back of my classes and weave tales in whispered tones to my friends, who leaned in to hear them. So I knew that despite the bad grades, I was well equipped to write. I wrote my first novel that year. It was twelve chapters of the worst prose imaginable. Fortunately, it got lost by the time I moved from Trinidad to Brooklyn at the age of fifteen. But by then, I was also writing steadily, and getting slowly better. I read THE FRIEND by Rosa Guy, and it so mirrored my own experience as a young girl, new to New York, and new to the anguish of falling in and out of love, that I immediately started writing for a younger audience. All that time I had been trying to write like an adult! No wonder I was struggling. I got a degree in Elementary Education and my writing slanted toward picture books. One of my best stories, about one of my uncles in Trinidad, was sent to Lee and Low Publishers, because they specialized in books by and for minorities, and I felt it would be a perfect fit. They liked the writing, but not enough to publish it, but they asked me to send them something else. In my haste to get out another book to them as quickly as possible, I sent them something that wasn’t quite ready, which they promptly (and rightly) turned down. I decided that dealing with publishers on my own was too tough, so many query letters and a few months later, I had signed on with Barbara S. Kouts, an agent in Connecticut, who had been in the business for a long time, and believed in my work. I was happy to have a partner, and to feel that I was a legitimate writer. We live in a great age for literature. There is so much to choose from. I am inspired every day by writers, both well established and brand new, who seem to speak so directly to me that I think they’ve crawled right into my head and wrote what I was thinking when I wasn’t paying attention to myself. As a kid, I loved Paul Zindel, especially The Pigman, and My Darling, My Hamburger. I didn’t know that stories existed that were funny while still being touching and very real. Are You There God? It’s Me Margaret, was another lesson in hilarity coupled with what I felt was shocking realism. By the time I was fifteen and read The Friend, I had figured out that I could be both funny and deal with serious subjects. These days, I read anything I can get my hands on. I have a particular fondness for non-fiction, and I’ve had several non-fiction books of my own published, but I also love fantasy. Among my favorites are popular titles like Harry Potter, and quirkier ones like Lips Touch. In the last year, two books have made a lasting impact on me: Kathryn Erskine’s Mockingbird and Jewell Parker Rhodes’ Ninth Ward. Both deal with harsh realities without the usual buoyance of humor, but with higher levels of hope written into every line. It’s gorgeous writing. It’s what I strive for. Barbara was not able to sell the first few picture books I sent to her, but I had an idea for a novel. My first, since the awful one I had written at thirteen. I wrote the entire draft in two months, and then started to work on revisions. That was when I discovered that my husband and I were pregnant with our first child. I was working in the city for an educational publisher, and the pregnancy was not an easy one, so between working full time and worrying about my health, I shelved the book. But after my daughter was born, I began to worry that my agent would think I was a slacker. So I sent her the first two chapters, promising to get back to work. She called a few days later, a rarity, since most of our communications were over email, and asked if I had anything more. I didn’t. But I was certain that my two-week old was a sleeper, and that would give me plenty of time to write. Barbara said that she had someone in mind to send the work to. She called back a week later to say that the editor was interested, and did I have anything more. I still didn’t. Plus, my baby was not a sleeper as I had originally believed. She woke with alarming frequency, and enjoyed exercising her lungs at the maximum decibel level. If there was a deal about to be made, I was sure that I was going to blow it. But after another week, Barbara called and asked, “Are you sitting down?” I was permanently exhausted, so yes, I was. Then she told me that Paula Wiseman at Simon & Schuster made an offer on the book, even though she only had the first two chapters, and Barbara wanted to know if I was willing to accept. But then came the task of actually finishing the novel. With only two chapters ready, the bulk of the book had to be polished up and finished in the next three months, because after that I would be returning to work, and work + a baby did not = time for writing. So I stuck my firstborn in a mechanical swing and wrote the rest of the book. I delivered it via email on New Year’s Eve 2001 just before the stroke of midnight. And a short three years and one month later, in February 2005, my debut novel, ANGEL’S GRACE was on the bookshelves. 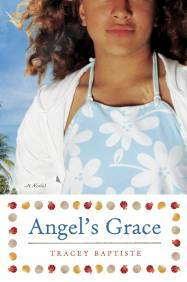 ANGEL’S GRACE was honored by New York City librarians as one of the 100 best books for reading and sharing in 2005. ANGEL’S GRACE continues to get rave reviews from fans who discover it every year, and letters to Grace continue to come in via email.